Better Service. Better Technology. Better Hearing. 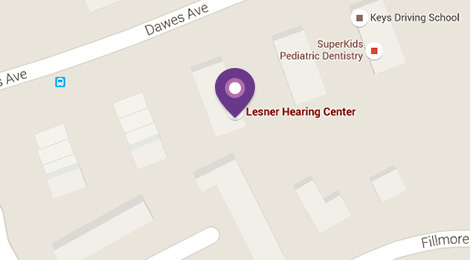 Lesner Hearing Center is a private practice located in Alexandria, Virginia. Our goal is to help our patients achieve better hearing through a caring approach coupled with state-of-the-art hearing technology. At Lesner Hearing Center, you and your audiologist will explore the impact of your hearing loss on daily living and discuss options to manage those difficulties. The solutions may include hearing aids, other listening devices including Bluetooth and FM, counseling and developing better listening strategies. 100% of Our Patients Rated Us "Superior" for Overall Quality of Care in the DC Metro Checkbook Report on Hearing Care! Read more here! We need to value our sense of hearing, preserve it, and take action it when it changes. Our hearing keeps us connected to the world. Others may notice your hearing loss before you do, so if friends say that you need a hearing test, believe them. Schedule it. New research links hearing loss with mental decline. If you treat the hearing loss, you keep your brain exercised! Dr. Leslie Lesner and Dr. Meghan Jolley of Lesner Hearing Center, will explore the demands you put on your ears, test you, explain the results, and recommend hearing aids that fit your lifestyle and budget. Many hearing aid users report that they were never taught about their hearing or strategies to use their aids fully. Not so at Lesner Hearing Center! Your hearing is unique. Not everyone experiences sound the same way. From selection to fitting and follow-up, we work with you to fine-tune the devices and the way you use them so that they’ll perform to your satisfaction. And that means a better quality of life! A great selection of hearing aids and accessories to suit your hearing loss needs. Custom fitted ear molds and ear plugs for swimmers, hunters, musicians and more. Management and therapeutic healthcare services for various forms of tinnitus. Hearing better is all about the service, not just the hearing aids. Call 703-820-3800 today to schedule your Free Hearing Evaluation at Lesner Hearing Center, 5232 Dawes Avenue, Alexandria, 22311.